WASHINGTON (Sputnik) - The Arctic Ocean region remains at low risk for international conflict, but the US Navy has sufficient forces deployed to carry out the national strategy for the region announced in 2016, the Government Accountability Office (GAO) said in a report on Thursday. "The Navy's June 2018 report aligns with Department of Defense (DOD) assessments that the Arctic is at low risk for conflict and that DOD has the capabilities to execute the 2016 DOD Arctic Strategy," the report said. The June 2018 report also aligns with assessments of Arctic capabilities and gaps in the Navy's 2014 road map for implementing the strategy, the GAO noted. 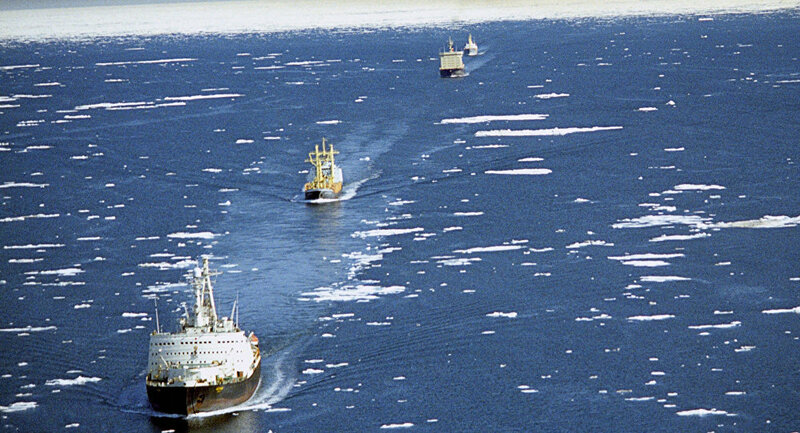 "The report notes the significant limitations for operating surface ships in the Arctic, but states that the Navy has the capabilities required for executing the strategy, and so has no plan to design ice-hardened surface ships," the GAO said. Defense Department officials stated that the United States has options other than Navy surface ships for demonstrating the US right to operate in the Arctic, including using Coast Guard vessels, Navy submarines or military aircraft, the report added. Courting Disaster: Why Are the Dutch Boosting NATO Cooperation in the Arctic?